Try RoomSketcher without spending a cent. Upgrade for more powerful features - it's that easy! Create floor plans and home designs using the RoomSketcher App, our popular floor plan and home design app (previously known by the name of RoomSketcher Home Designer). Over the years, our key customers have ranged from everyone from personal users to professional business users. Our professional users range from real estate agents, appraisers, and real estate photographers, to more “design” focused customers like interior designers and home improvement professionals. For a long time now, the name Home Designer has felt like it doesn’t speak to all our professional groups and the focus our users have on creating floor plans. We have, therefore, decided to move away from the name Home Designer, and instead call our app the RoomSketcher App. The tool is still the same, but our new name emphasizes our focus on creating both the best floor plan tool, as well as the best home design tool, on the market. You now have two ways to get started. 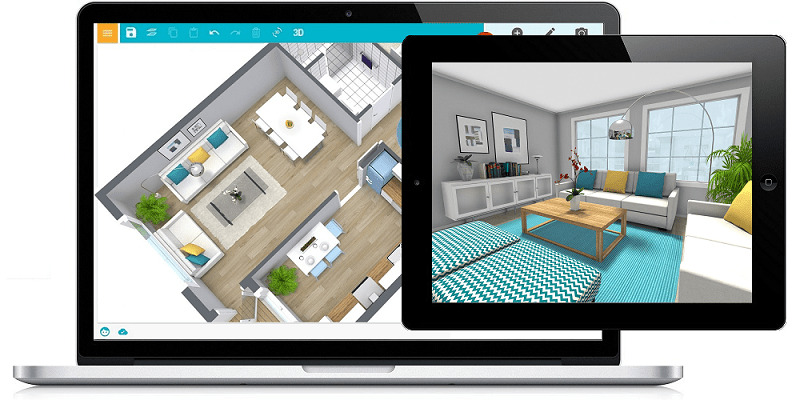 The RoomSketcher App is a powerful and easy-to-use floor plan and home design software that you download and use on your computer and tablet. You can work online or offline. Your RoomSketcher projects live in the Cloud and synchronize across devices so you can access them anytime, anywhere. The RoomSketcher App was first available on Android Tablets and iPads in 2016 with the name RoomSketcher Home Designer. In 2018 the RoomSketcher also supported Mac and Windows. You can download and use the RoomSketcher App on Mac and Windows computers, plus iPad and Android tablets. Our popular web-based floor plan and home design tool is still available online. The RoomSketcher App for computer and tablet is fully compatible with the Web Editor – and you can even use them in parallel. Projects created in the Web Editor, can be opened and edited in the RoomSketcher App. Many of the projects created in the RoomSketcher App, can be opened and edited in Web Editor. Web Editor is the classic Viseno Home Designer from 2007 and is still available. The RoomSketcher Web Editor is an Adobe Flash application, so you need to enable Flash in order to run it. What are you waiting for? Try it out today! Do you want to order floor plans? Learn more. Super-fast delivery - I’m very happy with RoomSketcher! RoomSketcher has reliable delivery and great support. RoomSketcher is easy to use and cost effective for creating images of your ideas. RoomSketcher is loved by professional and personal users all over the world. Draw yourself or let us draw for you. Get started today!